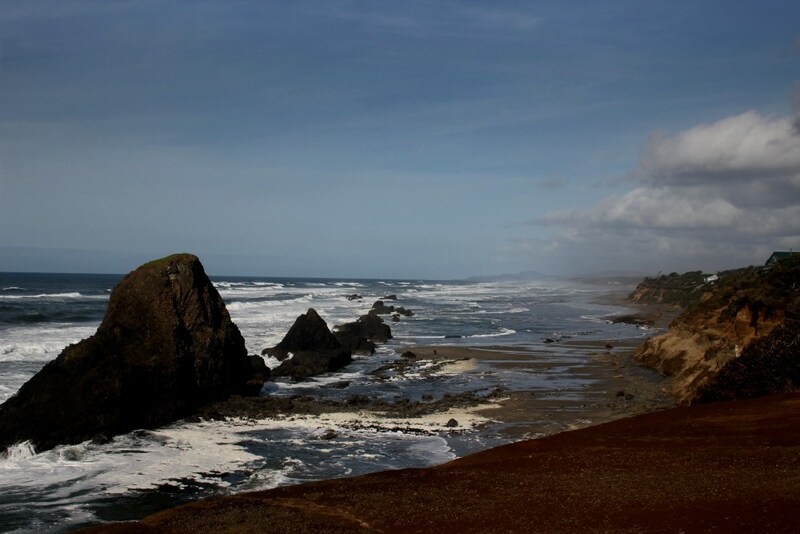 Seal Rock site offers excellent wave action from a viewpoint above the basalt rocks that protrude from the water. Or you can walk down a paved pathway to the beach itself. 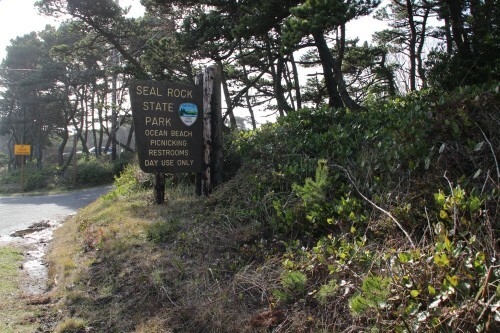 Oregon Parks link:Seal Rock No fee required. 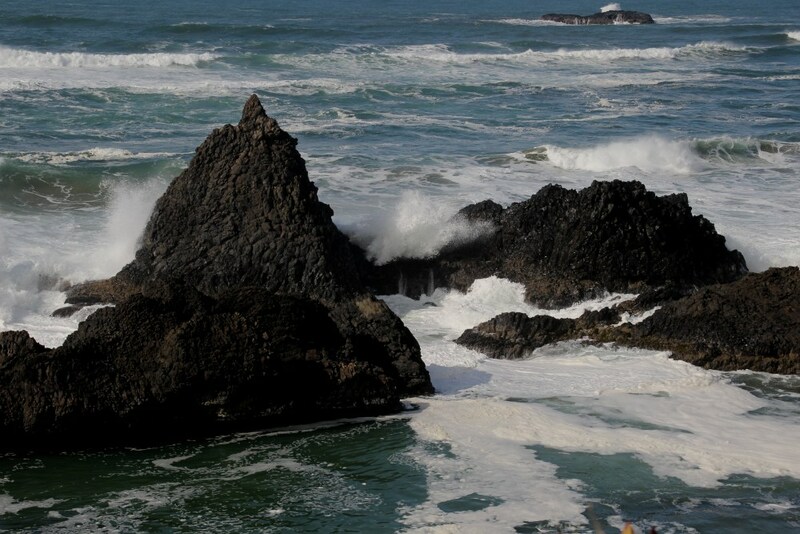 Here is Seal Rock, one of many jagged basalt rocks that can be seen from the park's viewpoints. 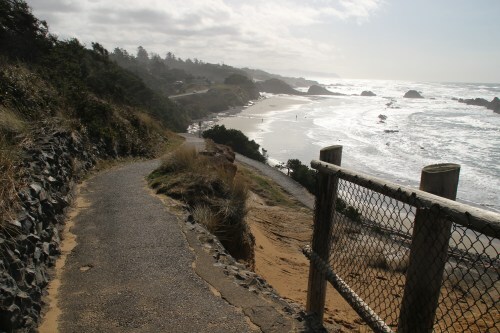 The Seal Rock park viewpoint affords a magnificent view to the south.